As public policy is becoming increasingly complex, governments around the world are becoming more interested in using tools and techniques to understand and intervene in complex systems. This In Brief looks at some recent thinking on tools and techniques for making sense of, and responding to, complex policy challenges. Policy-making and implementation often involves tackling issues nested in complex systems - systems of people, institutions and dynamic environmental factors - and working out how to create or change particular patterns of interaction to get a desired outcome. For example: How might governments design a set of institutions to bring about certain behaviours? or Given a set of institutions, how might the interactions between actors and the institutions be governed to achieve a particular outcome? and How might unintended negative effects be avoided or positive ones enhanced? In recognising that a situation is complex, policymakers don't assume predictability and control, but rather that there will be periods of stable behaviour as well as both evolutionary and sudden, unpredictable change. Systems thinking helps us to map the dynamics of a system, understand how the relationship between system components affect its functioning, and what interventions can lead to better results. It is becoming essential to successful delivery of complex projects and programs, where there are many stakeholders and many possible solutions. As an introductory exercise, you may like to visualise systems thinking and complexity in this TED talk by Tom Wujec on making toast! See also this blog post from Systems Practitioner on what systems thinkers actually do. ​some actions (or inputs of energy) in complex systems are dampened (negative feedback) while others are ampliﬁed (positive feedback). small actions can have large effects and large actions can have small effects. complex systems are particularly sensitive to initial conditions that produce a long- term momentum or ‘path dependence’. they may contain ‘strange attractors’ or demonstrate extended regularities of behaviour which may be interrupted by short bursts of change (punctuated equilibrium). systems are complex and often messy webs that are constantly shifting. everyone who is part of a system holds a different perspective on its nature, purpose and boundaries. change emerges from the way the whole system behaves not from the actions of any one project or organisation. although we can’t fully plan how to achieve the changes we seek, we can identify several conditions that enable positive change and the actions that are likely to move us toward our goal. For more on complexity theory go to Paul Carney and Robert Geyer's introductory chapter to the 2015 Handbook on Complexity and Public Policy. Complexity Labs has a selection of books, videos and papers on the subject at this link, including a video on the difference between simple and complex systems. Charles E. Lindblom described approaches to decision-making in public administration in his 1959 paper The Science of Muddling Through. He points out that there are too many factors both directly and indirectly affected by most public policy decisions and too many possible options for us to be able to describe and evaluate them all. Twenty years later, in Still Muddling, Not Yet Through Lindblom discusses some refinements of his ideas but concluded that his original observations still hold. Complexity clearly is nothing new and applying systems thinking to complex issues is slowly being incorporated into the public policy toolkit, alongside more linear approaches. In 2008 the Public Management Review devoted an issue to complexity theory and policy formulation, edited by Geert Tesiman and Erik-Hans Klijn (free access to abstracts only) following intensive interest from public management scholars around the world, and the realisation that there was little consensus about the contribution complexity theory could make to theory and practice. This year the same journal editorialised that it was still a 'becoming field' and that alternative perspectives had evolved markedly in the ensuing decade. This is underscored by the establishment of a new Journal on Policy and Complex Systems in 2014. In this video from the journal, Professor Robert Geyer introduces some of the key concepts of complexity theory and how this relates to the public sector. Listen to this episode of Policy Forum Pod to hear Director of the ANU Crawford School of Public Policy, Helen Sullivan lead a discussion on the complex systems that underpin the success or failure of public policy. Her guests are Professor Claudia Pahl-Wostl (University of Osnabrück) and Assistant Professor Datu Buyung Agusdinata (Julie Anne Wrigley Global Institute of Sustainability). The Mandarin's take on the podcast can be found here. One issue that policymakers confront is that, while different government departments might have clearly designated areas of authority, reality is not nearly so clearly divided. An example is the food-water-energy nexus, as Pahl-Wostl explains. "You can't manage or govern on water without considering other sectoral policies." Agusdinata takes this kind of thinking one step further by looking at ‘systems of systems’ to not only understand the policy big picture, but also for bringing about change. Another approach to the complexities of water management is resilience thinking, which has been applied in the NSW Southern Rivers Catchment Plan 2023. By adopting a resilience approach to dealing with unexpected change (see pp 19+) the plan seeks to understand and set strategies in the context of the entire landscape system, including its people, economies and natural resources. Complex policy problems are sometimes called wicked problems. In 2006, the Australian Public Service Commission (APSC) wrote about wicked problems and the need to reassess some of the traditional ways of working in the APS to successfully solve or at least manage them. Then Commissioner Lynelle Briggs said that the paper sought to encourage reflection and to 'look for ways to improve the capacity of the APS to deal effectively with the complex policy problems confronting us. 'Wicked problems are often difficult to define, poorly constructed, persistent and social in nature. They involve multiple drivers, impact various policy domains and levels of government. To further complicate matters, any intervention could set off a chain of new unintended consequences'. An example of such a wicked problem is obesity, which poses a significant challenge for health care systems worldwide, but for which there is still no clear, well-defined solution. As Sarah Frood et al observed in their 2013 article for Current Obesity Reports understanding obesity as a consequence of complex interactions between many variables has been an important milestone for obesity research. A mapping exercise by Foresight Group cited in the article, showed over 100 variables and 300 interconnections that illustrated the diversity and broad range of influences on individual behaviour. The authors concluded that accepting obesity as a complex problem is an important step in working towards solutions that addresses these interconnections and elements. Another example of a wicked policy problem is climate change. 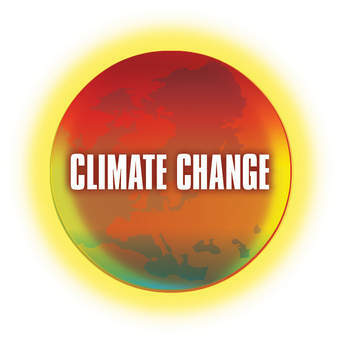 The APSC document above describes climate change as 'a pressing and highly complex policy issue involving multiple causal factors and high levels of disagreement about the nature of the problem and the best way to tackle it. The motivation and behaviour of individuals is a key part of the solution as is the involvement of all levels of government and a wide range of non-government organisations (NGOs). Francesco Gonella observes that key players in the climate change "narrative" have difficulty moving the discussion past its components: disputability; the relevance of anthropogenic contribution; and the extent of associated dangers. It is a policy issue where vested interests, power and politics occupy centre stage - all adding to its complexity. Child protection is usually seen as a complex and wicked problem, where there has been a perceived lack of progress in reducing incidences of child abuse and in improving the outcomes for children in both the short and longer term.The OECD Observatory of Public Sector Innovation 2017 report From Transactional to Strategic: systems approaches to public service challenges describes the application of the Vanguard method of systematic change to the ChildProtect public youth protection agency in the Netherlands and the positive outcomes that ensued. Traditional management tools have limited capabilities when applied to complex problems and issues as this paper on evidence-based policy on the APSC website observes. Although good data is one of the foundations for good policy and review processes, the dynamics of policy-making are deeply affected by institutional, ethical, political, professional and cultural factors, which will differ across policy domains and issues. In complexity thinking, evidence is no longer captured solely by numbers, but by stories, vignettes and exemplars which are contextualised by local context. 'Command control models' of leadership are replaced by more collaborative ways of working including between levels of government, across sectors, and between service users and providers. The OECD's Applications of Complexity Science for Public Policy lists some of the tools and techniques used in complex policymaking. Click here for more information on tools and techniques. Design thinking is particularly valuable in moving from visualising the complexity to actionable knowledge that allows public administrators to make decisions.Tapping the expertise and perspectives of citizens and collaborating with other sectors can assist with defining the problem/challenge being addressed and developing more innovative and valued solutions. See our DesignThinking and Policymaking In Brief for more. ThinkPlace also has a post on its website about designing in complex environments. Another advance in the understanding of complex systems is encapsulated in the Cynefin framework which offers four decision-making contexts or "domains"—obvious, complicated, complex, chaotic —that help managers to identify how they perceive situations and make sense of their own and other people's behaviour.It has been used in such public policy areas as emergency management, aged care, US homeland security, the management of food-chain risks and policing the US Occupy Movement. Systems thinking, at its core, is oriented towards organisational learning -reflection in action. It has the ability to enable us to see not only the current reality, but also how we can make real and lasting beneficial change in a structure or system. The basic rationale is that, in situations of rapid change, only those structures and systems that are flexible, adaptive and productive will excel. This video gives you the 5th Discipline author Peter Senge's introduction to the four disciplines of the learning organisation. Reflexive social learning, which enables systems to cope with new, unexpected, conflictual and unpredictable factors, is an important part of today's policy making, such as that shown in this recent Auditor-General's audit report on strategic risk governance in Comcare. A key feature of the learning organisation is feedback loops, which are a series of connections causing output from one part of a system to eventually influence input to the same part of the system. Feedback loops are the main reason a system's behaviour is emergent; they take place over time and thus create a certain dynamic pattern to a system’s development. A negative feedback loop is one of constraint and balance, always tending towards some equilibrium point. If there is some external shock to the system that is not too large the negative feedback loop will bring it back into balance. As such, a negative feedback is a control mechanism. For example, governments try to control economies through automatic stabilizers where income taxes and welfare spending are used to dampen fluctuations in real GDP. Positive feedback loops and the exponential change they give rise to can be best described as radical phenomena. When they operate in isolation without negative feedback the outcome will be extreme. An example relevant to policymaking is the relationship between human population growth and agriculture, meaning that one drives the other with increasing intensity. On 9 October 2018, IPAA ACT hosted Embracing Policy Complexity: Making Systems Thinking Real in Government which heard from Dr Toby Lowe (Open Lab and University of Newcastle) and Dr Emma Uprichard (Warwick University) on applying systems thinking to contemporary policy problems. See his presentation slides at this link. A video of Dr Lowe's October 2018 address on Complexity and Public Management given at Stanford University can be found here. He is currently working on a range of research projects which explore complexity and system change, including a major project on Funding in Complex Ecologies on how funders and public sector commissioners are responding to complexity. This work has identified a new complexity-informed paradigm for public management, outlined in the report 'A Whole New World: Funding and Commissioning in Complexity'. Dr Uprichard is a co-investigator for the 'Centre for the Evaluation of Complexity Across the Nexus’, a UK research centre tasked with, among other things, developing a range of cutting-edge methods for complex evaluation. She is also a principle investigator the Economic and Social Research Council Seminar Series “Complexity and Method in the Social Sciences”. The transcript of a 2015 interview with Dr Uprichard on the social aspects of data in complex systems can be found at this link.